Have you added contact page on your WordPress blog? Do you know contact page is one of the most important pages that a blog or even any kind of business website should have. Various websites create the different type of contact pages. Some of them simply add their contact information like the email address and the mobile number, while others make use of smart forms that the visitors may quickly fill and then send to the editor of that website. Today in this article, we are going to create a contact page in WordPress, and I’ll teach you how you can add such smart contact forms easily using a new WordPress plugin called WPForms Lite. By making use of a form instead of direct contact information, we can let our visitors contact us directly without actually sharing our contact information. Moreover, forms are also time-saving for both the visitor and the editor to whom the message is to be send. We do not need to interfere with any third party email service; the visitor may send the message directly from the website or blog, and the editor may read it within the WordPress dashboard. So, here I’ve given a step by step guide that you may follow to create a contact page with a contact form using the WPForms Lite Plugin in WordPress. The very first step is to download and install the WPForms lite plugin from the official WordPress plugins directory. Click this link to download this plugin or search for “Easy WordPress Contact Form Plugin – WPForms Lite” from the WordPress dashboard. Install & activate the plugin. Now, we’ll first require a page for our contact form to be added in. Simply, in the WordPress Admin Dashboard, Go to Pages > Add New. 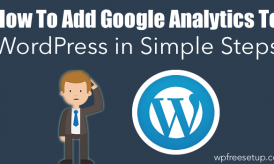 This will open the WordPress Editor to customize the new page you are going to create. Give it a title, like “Contact Us”. It’s always good to let your visitor know how they can make use of the contact form given below to contact you. So, you should explain it all within 2-3 lines. An example is given below. 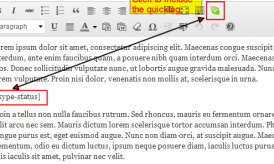 You can add such lines in the main text area of the page and may also format it according to your need. You don’t have to publish the page right now. Just consider saving it as a draft. This is the most important step, the procedure of creating a contact form. Click on WPForms in the left pane of WordPress dashboard to configure and create a contact form with it. Then click on Add New Button right to the title, “Forms Overview”. 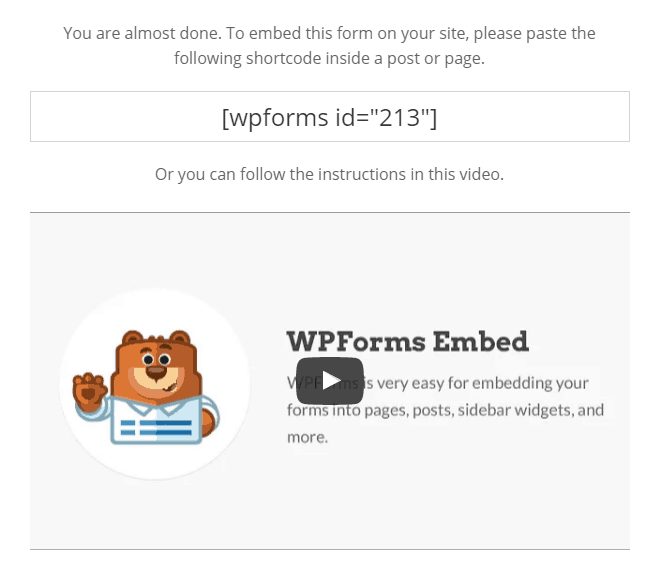 The Setup page of WPForms will open as shown in the following screenshot. Give your form a name in the “Form Name” field at the Top and then after you have to select a Template. Choose Black form if you want to do and customize all the stuff yourself. This option is recommended for advanced users. 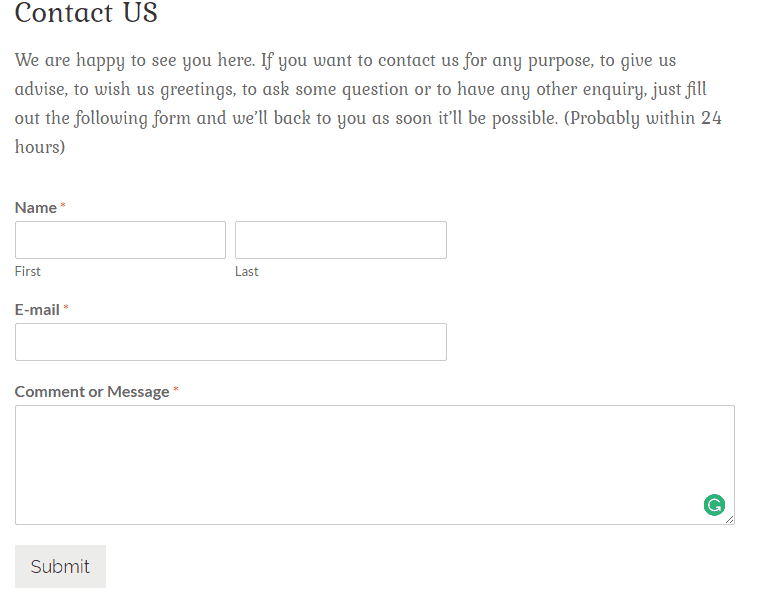 But for instant or to create contact forms quickly, just click on the Simple Contact Form template. Here you can customize the fields of the form as you want. You can insert various types of fields like text, dropdown, checkboxes, numbers, email, etc. Moreover, there are several fancy field available under the premium version. You can drag and drop the fields and adjust them accordingly. Further, you can configure options for each and every field in the form. Just copy the code from there and paste it in the page (Under Page > All Pages > Your Contact Page) we recently created with some text. Consider placing the code below the text as we inserted in the following screenshot. That’s all you need to do. Now, you can either view the page how it looks before publishing it or may directly publish it. The final contact page with contact form will be as displayed below. Hope you find this article useful to create a contact page with contact form added using the WPForms Lite plugin. One thing to notice is that WPForms plugin is available in two versions, one is the free version, and other is the premium which offers some other great features. If you want this plugin for simple contact forms or survey forms, then the free version is pretty much good, but if for advanced purposes like to accept donation payments, you’ll require the premium version. You can learn more about Premium version over here. If you like reading this article, please share it with others on social networks like Facebook, Google+ and Twitter. To get updated with latest WordPress tutorials, guides, tips-tricks, don’t forget to subscribe us. If you have any question regarding the stuff explained above, please feel free to ask us via the comments below.